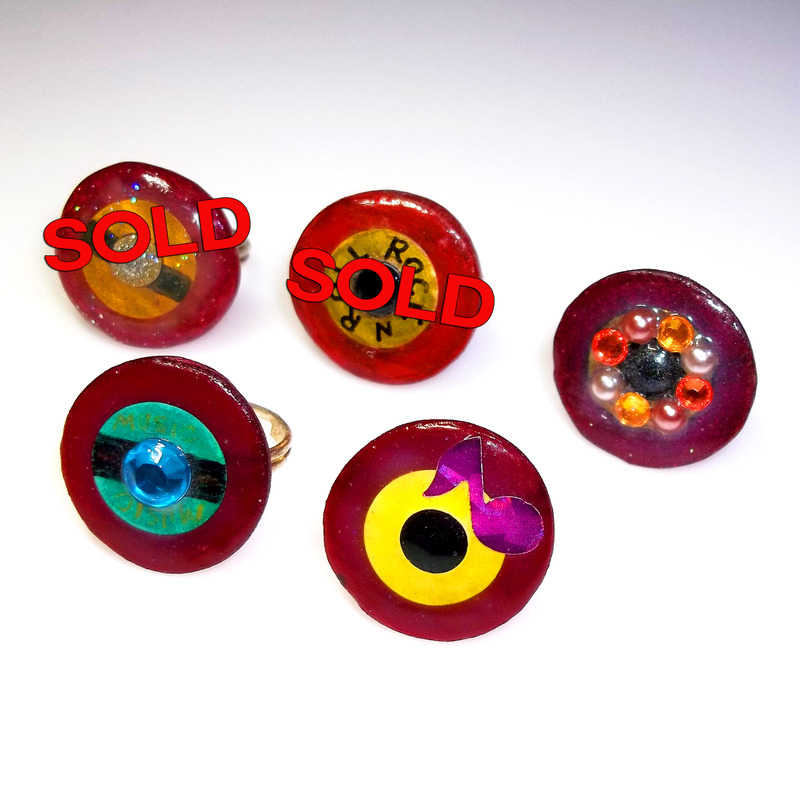 4 Mini Record Rings made from vinyl records! Red 45 records get heated up, cut and processed into little records and affixed to adjustable rings. Record pendants are the size of a Quarter.